1. 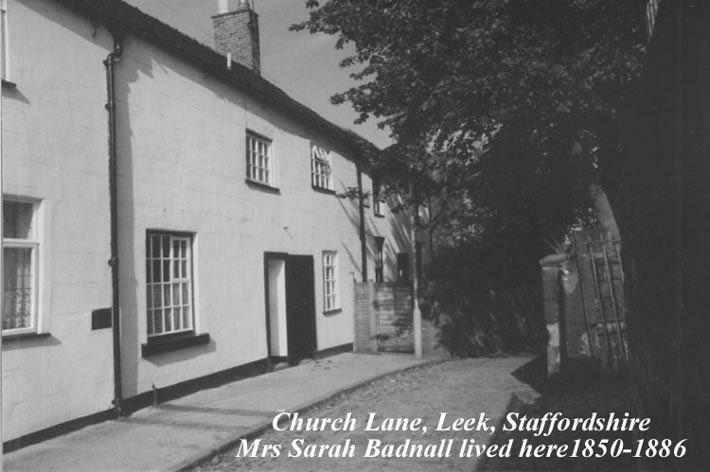 Sarah HAND, daughter of Enoch HAND (c. 1770-1834) and Mary PHILLIPS (chr.1777, d.1835), was born on 21 January 1799. 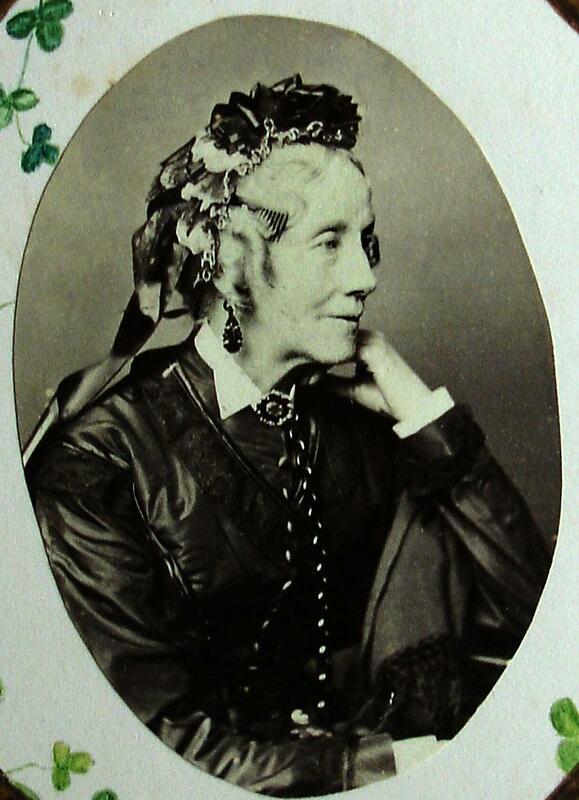 She was born on 21 October 1800 in Uttoxeter, Staffs. She married Richard Jnr. BADNALL on 19 August 1819 in Uttoxeter Parish Church. The vicar was the Revd. HB Fowles. She died on 22 January 1886 in Church Lane, Leek, Staffordshire. She was buried on 27 January 1886 in Family Vault, St. Edwards churchyard, Leek, Staffs..
William Beaumont BADNALL (1823-1901). William was born on 7 October 1823 in Leek (8.55pm). 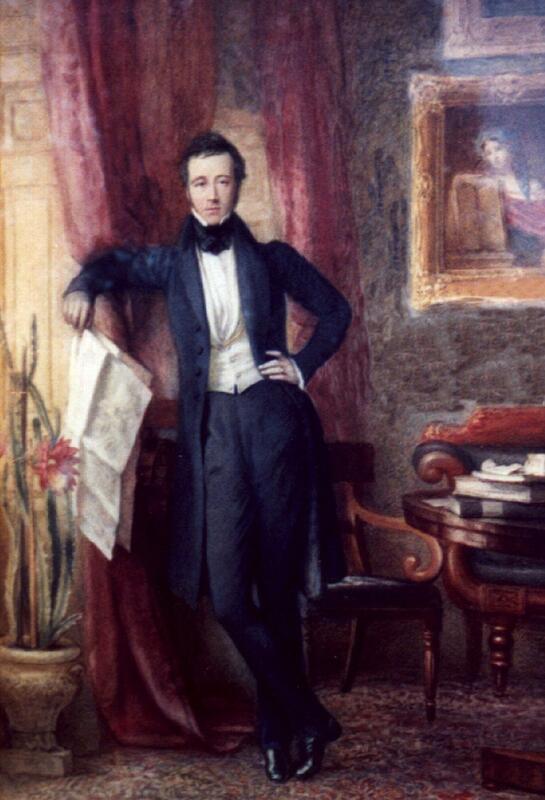 He was born on 7 October 1823 in Leek, Staffs. He was christened on 31 December 1824. He was baptised on 31 December 1824 in St. Edward's P.C. Leek. He was a Conveyancing Barrister, County Councillor (Derbyshire). He was a Conveyancing Barrister, County Councillor (Derbyshire). He married Jane Elizabeth CRUSO circa September 1854. He died on 31 May 1901 in 4 Kennsington Court Gardens, Middlesex. He was buried on 1 June 1901 in Thorpe by Dovedale, Derbyshire.